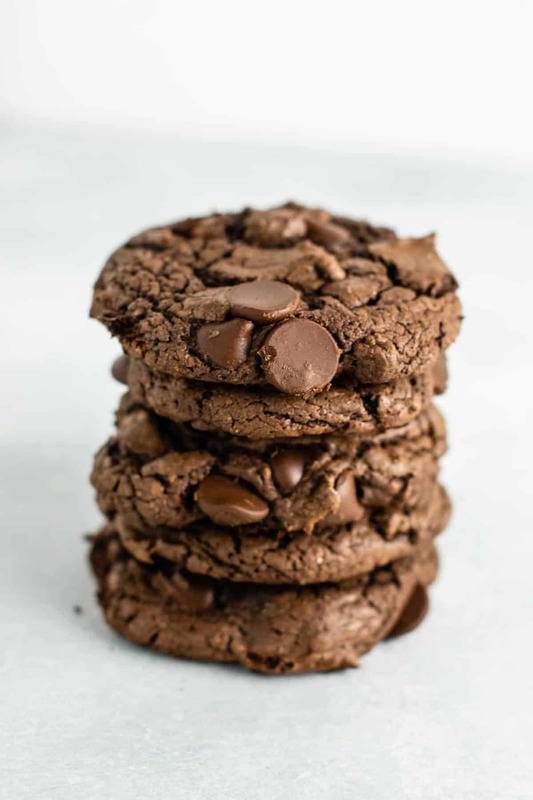 We are in the middle of my cake mix recipes series and these easy chocolate cookies are the latest way that I’m loving cake mix! 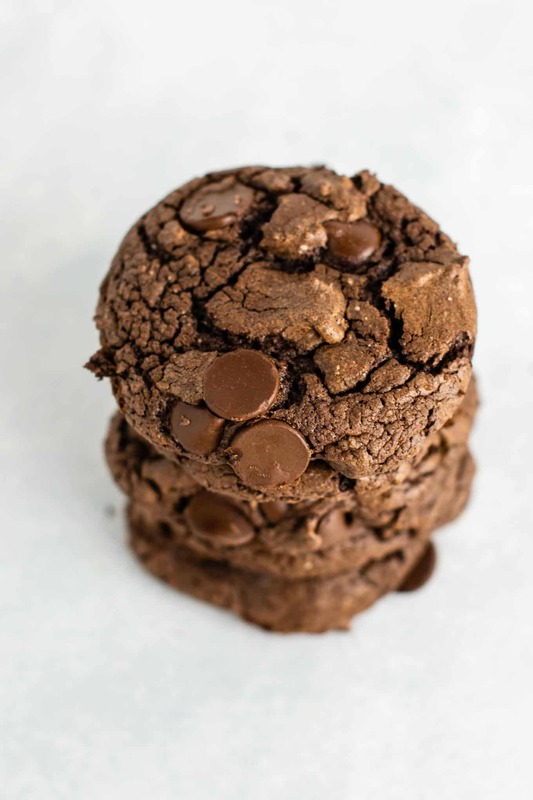 All you need to make this super chocolatey dessert is a box of your favorite cake mix, olive oil, eggs, and chocolate chips. The batter comes together in just 5 minutes and you’re ready to bake! I call these cheater cookies, because they are really almost too easy for how good they taste. Add cake mix, eggs, and oil to a large mixing bowl. I used Duncan Hines Dark Chocolate fudge cake mix. Use beaters to mix until a batter forms (this will not take long). 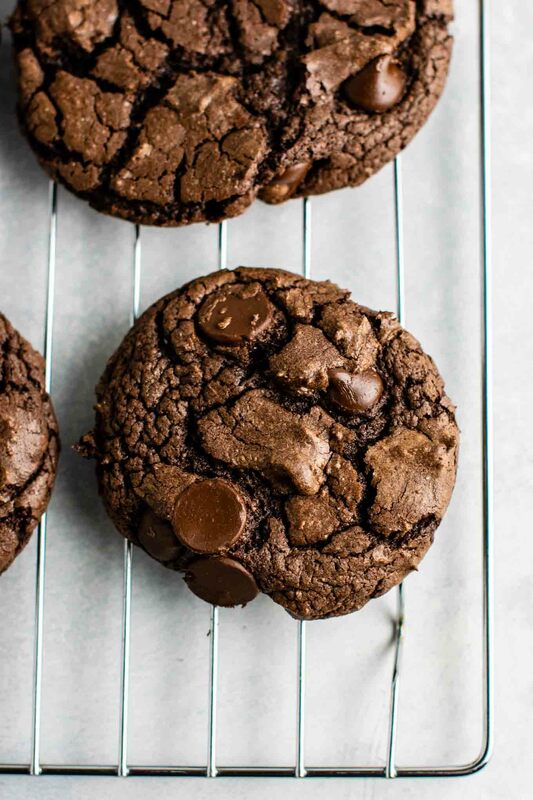 Fold in your chocolate chips until combined. Drop by spoonfuls onto a baking sheet, or roll into balls if you want perfectly shaped cookies. Me personally, I’m team as long as they’re cookies they are delicious, so I don’t bother with perfect little balls. Either way they are going to taste amazing! Bake at 350 degrees for 12 – 15 minutes. 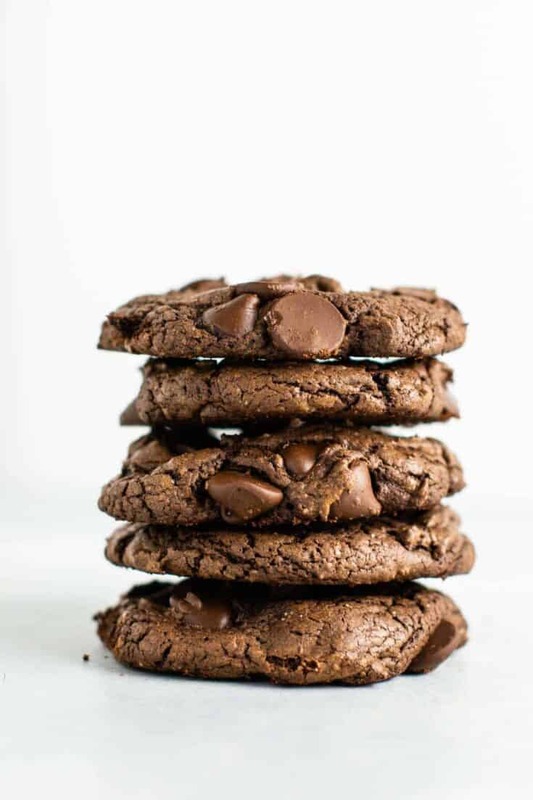 You can tell the cookies are almost done when they puff up a significant amount, around 2 – 3 minutes later they will flatten back down, and the tops will look cooked. This is when you remove them from the oven (for me it was right at 15 minutes, but the time may vary based on your oven). The inside is fudgy and cakey, while the outside has those perfect crispy edges. 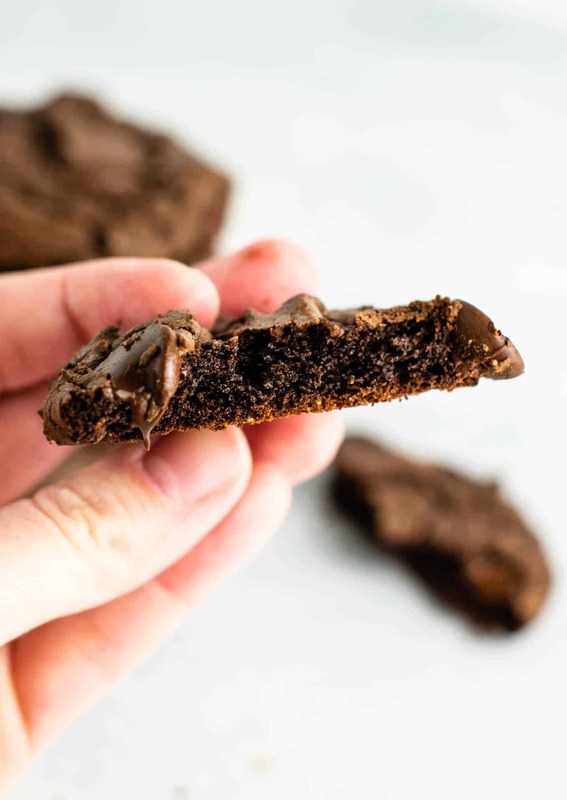 These cheater chocolate cookies are perfect for kids to help make, and a time saving hack for when you need a dessert to serve fast! Looking for more easy and family favorite cake mix recipes? Cake mix chocolate chip cookies are similar to this recipe, but using yellow cake mix! Cake mix banana bread is so simple, fluffy, and tastes like a million bucks. 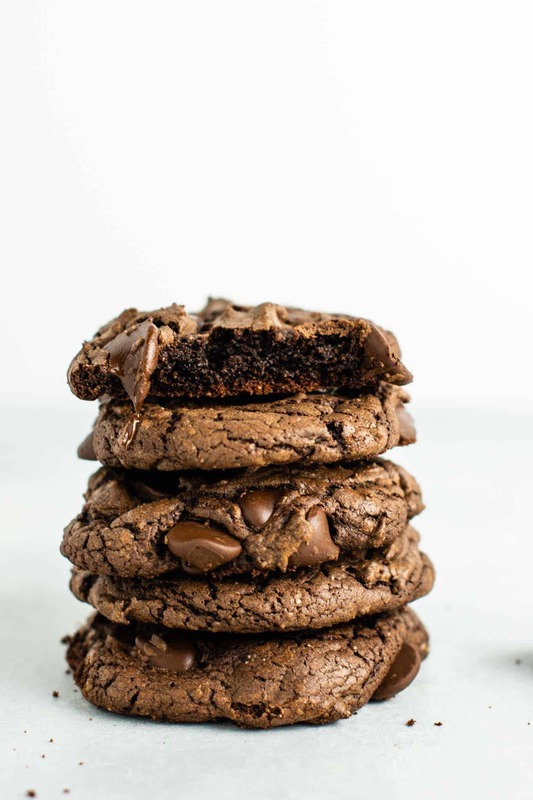 Don’t have brownie mix but craving something sweet? 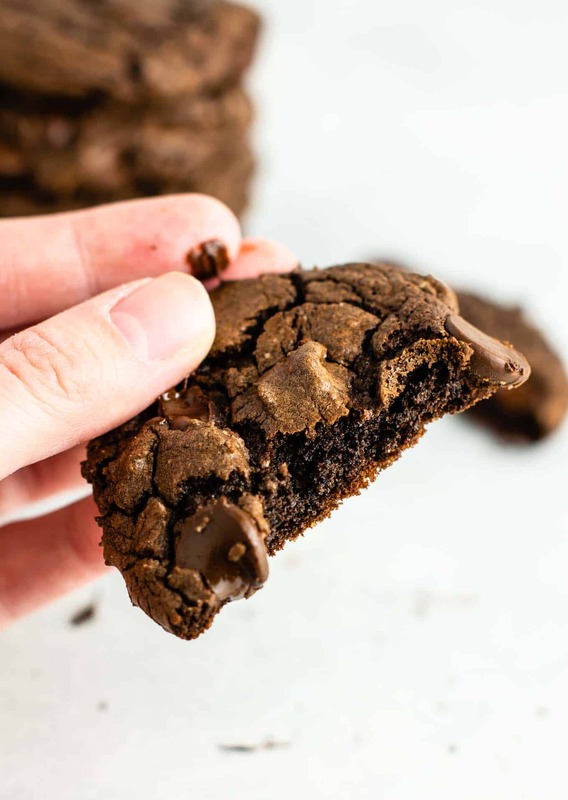 Try these cake mix brownies! Cake mix cookie bars are another favorite easy dessert that require only four ingredients!